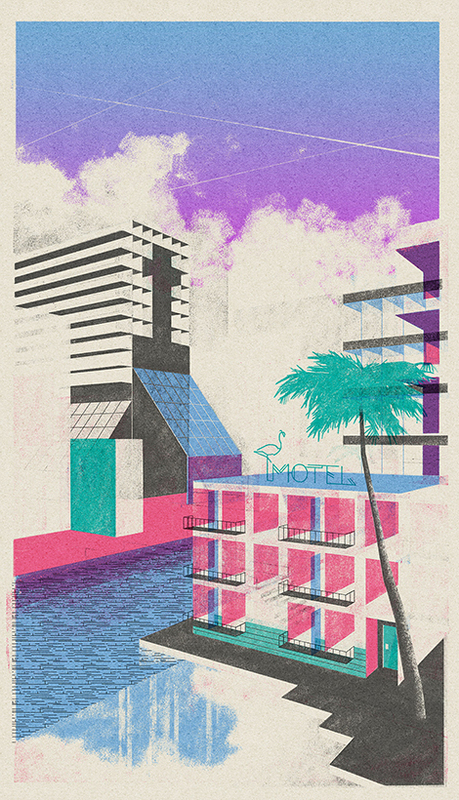 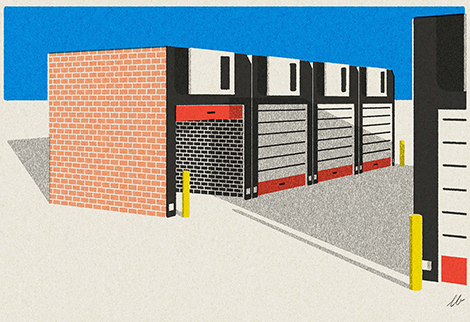 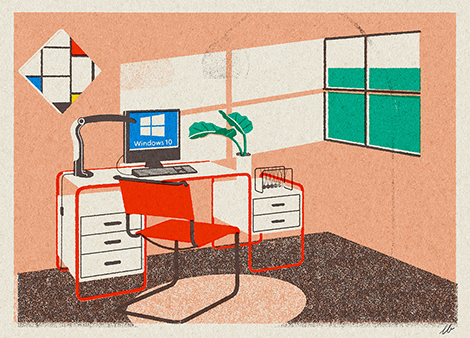 Amsterdam based illustrator, Leonie Bos, is highly influenced by printmaking and 20th century architecture. 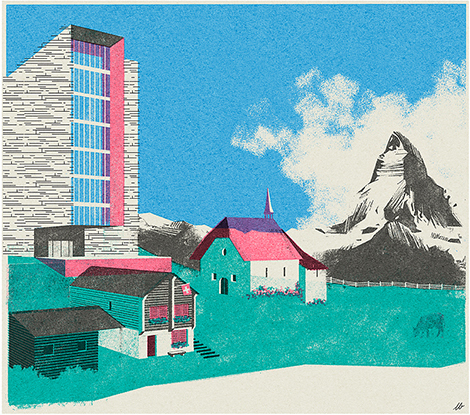 To create her fictional buildings, she digitally layers colors and textures to generate a screen-printed affected. 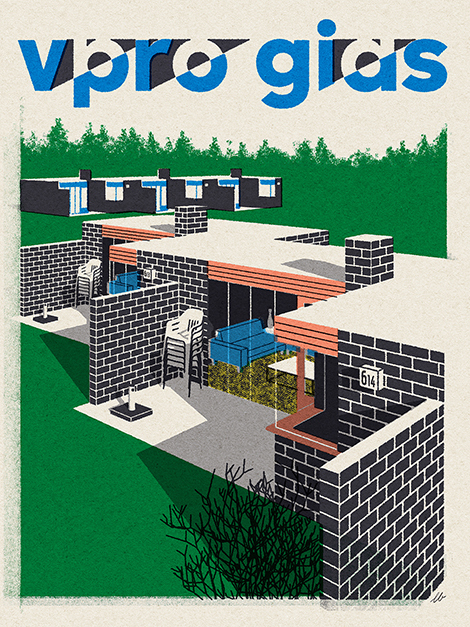 Her work has appeared in the Wall Street Journal and numerous Dutch newspapers.